As a component of the Turkish military is attempting what seems to be an unsuccessful coup, unfortunately the public opinion is not concerned about a very critical aspect of the crisis, namely the NATO nuclear weapons of the Incirlick Air Base, which is one of six NATO sites in Europe which hold tactical nuclear weapons.. Admittedly, Turkey President Recep Tayyip Erdogan claimed he is in control of the country early Saturday , however, According to CNN Turkish authorities have sealed off and cut power to Incirlik Air Base while explosions, air battles and gunfire that left scores dead and more than 1,000 wounded are still going on. NATO Secretary General’ s Jens Stoltenberg statement calling for “calm and restraint, and full respect for Turkey’s democratic institutions and its constitution” reveals that NATO is very concerned about the developments. If the military who is attempting the coup manages to control the Incirlick Air Base, then the fate of the nuclear weapons will be uncertain as they might be used as a threat against governmental forces, or even worse those nuclear warheads might be smuggled out of Turkey to be used as a terrorist nuclear weapon. Taking into account that, according to the media, lots of members of the Turkish Air Force are involved then it is imperative that NATO should make sure that the Incirlick Air Base remains under the control of NATO forces and that the security of the B61 Nuclear Weapons has not and will not be compromised . The Hellenic Arms Control Center is constantly monitoring the crisis in Turkey and is trying to alarm the authorities about the nuclear risks and the possibility of a “Bent Spear”. 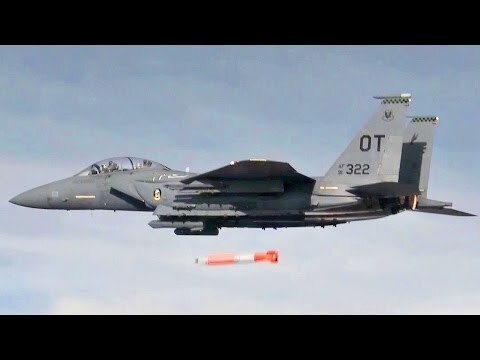 In the video a B61 gravity nuclear bomb is tested by the US Air Force so that one can have a fair idea of the nuclear weapons stored in the Incrlick Air Base. The Director of the Arms Control Center, Professor Dr. Theodore Liolios, is currently reviewing the situations with his/her colleagues and will post a more detailed analysis of the risk. This entry was posted on Saturday, July 16th, 2016 at 4:37 pm and is filed under NEWS & POLITICS. You can follow any responses to this entry through the RSS 2.0 feed. Both comments and pings are currently closed.